The Department of Health (DH) today (April 26) raided a premises in Kwai Fong in a joint operation with the Police for the suspected illegal sale and possession of an unregistered proprietary Chinese medicine (pCm) named "STOMACH KING CONCENTRATING ORAL-LIQUID". The preliminary investigation by the DH found that the above premises had been offering for sale a pCm which was not registered with the Chinese Medicine Council of Hong Kong (CMCHK). A woman, aged 22, was arrested by the Police for suspected illegal sale of an unregistered pCm in the operation. 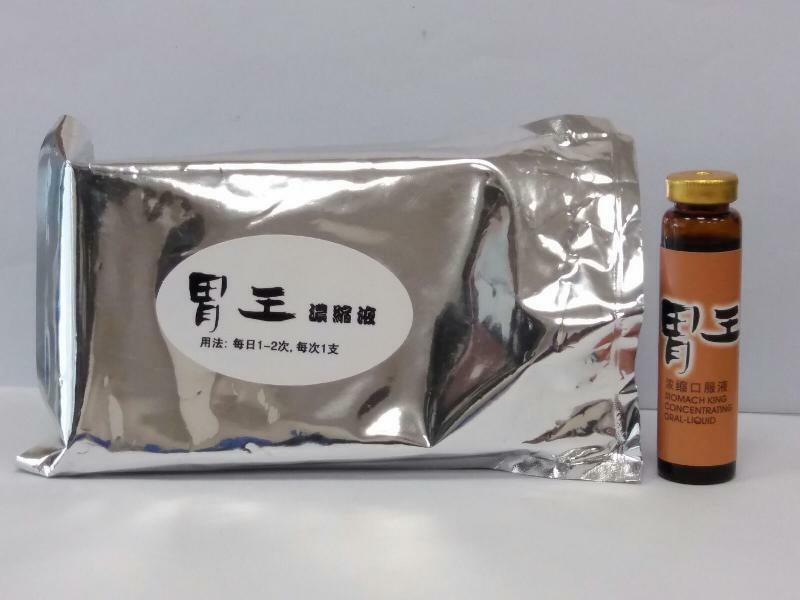 "According to the Chinese content of the package insert, the above product claimed to have effects on the treatment of gastroduodenal ulcer and promotion of ulcer healing as well as effective for chronic gastritis, oesophageal cancer, stomach cancer, liver cancer, intestinal cancer, etc. The use of unregistered pCms may pose threats to public health as their safety, quality and efficacy are not proven. The DH's investigation is ongoing and no related adverse reports have been received so far," a spokesman for the DH said. According to section 119 of the Chinese Medicine Ordinance (Cap 549), no person shall sell, import or possess any pCm unless it is registered. The maximum penalty for each offence is a fine of $100,000 and two years' imprisonment. Upon completion of the investigation, the DH will work with the Department of Justice on prosecution matters. The DH urged members of the public who have purchased the above product to stop taking it immediately and submit the product to the Chinese Medicine Division of the DH on 16/F, AIA Kowloon Tower, Landmark East, 100 How Ming Street, Kwun Tong, Kowloon, during office hours for disposal. "The public should consult healthcare professionals if feeling unwell and should not self-medicate without seeking medical advice," the spokesman advised. Members of the public may visit the CMCHK's website (www.cmchk.org.hk/pcm/eng/#main_listpcm.htm) for the list of registered pCms.